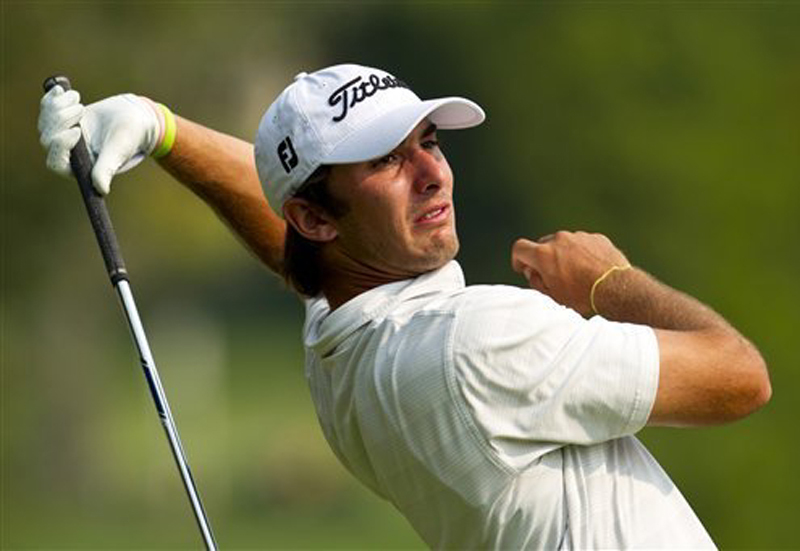 Valencia High graduate Max Homa won his first match at the USGA Amateur Championship in Colorado. He defeated Corey Conners from Canada, 5 and 4, to reach the round of 32 on the Cherry Hills Country Club course. Homa made five birdies and didn’t lose a single hole against Conners. Homa will play Justin Thomas from Kentucky, a sophomore at Alabama and the fifth-ranked amateur in the world, in the second round of match play this morning. If Homa wins his first match, he will play again in the quarterfinals this afternoon. It was a big day in the baseball world. Felix Hernandez of the Seattle Mariners threw a perfect game. Melky Carbrera of the San Francisco Giants, the National League leader in hits, was suspended for 50 games for failing a drug test. Hernandez struck out 12 and beat the Tampa Bay Rays, 1-0. It was the third perfect game in the major leagues this season. Matt Cain of the San Francisco Giants threw a perfect game against the Houston Astros and Phillip Humber of the Chicago White Sox was perfect against the Mariners. Carbrera, the MVP of the All Star Game, tested positive for testosterone and was suspended for 50 games. He has the second best batting average in the National League at .346. He also has 11 home runs and 60 RBIs in his first season with the Giants. The Giants have 44 games left in the regular season. On the field, the Dodgers clobbered the Pittsburgh Pirates, 9-3. Matt Kemp drove in three runs and hit a two-run double in the fourth inning. The Dodgers have a four-game winning streak and are all alone in first place in the National League West standings. The Giants lost to the Nationals, 6-4, and fell out of first place in the NL West. The Dodgers can go for the four-game sweep of the Pirates this afternoon.